We don’t get paid unless we recover for you. You have nothing to lose. NO CASE IS TOO BIG OR TOO SMALL FOR WASHINGTON LAW CENTER. FIND OUT HOW WE CAN HELP YOUR CASE TODAY! Washington Law Center has the experience and resources you need. If you are seeking a personal injury lawyer or a Labor and Industries (L&I) attorney in the state of Washington, call us today. At Washington Law Center… we fight, you win. WHATEVER YOUR CASE MAY BE, WE’RE HERE TO HELP! CALL US TODAY! Personal injury attorneys located in both Seattle and Tacoma. Available 24/7. 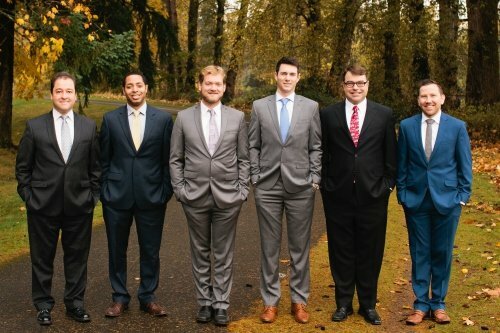 The team of experienced personal injury attorneys at Washington Law Center have a long record of earning exceptional results for their clients. Our Labor and Industries (L&I) attorneys are equally committed to achieving the resolution you seek for your claim. At Washington Law Center… we fight, you win. Spencer was very professional and was the key factor to winning my case before a SSDI Judge. He dug deep into understanding my case and presented it with no doubts. I am so glad Spencer contacted me 2 years ago when I sought help and could only hope for the best and got it.